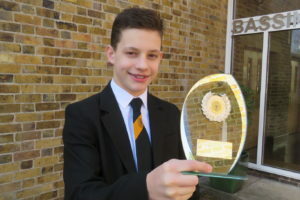 Senior BVC sports stars were honoured at the annual Roy Burrell Awards – with diving champion Ben Cutmore picking up the prestigious Sportsman of the Year title. The event is held annually at Netherhall School to recognise sporting excellence across schools in Cambridgeshire and this year saw Helen Richardson Walsh, England Hockey player and gold medal winner at the Olympics, hand out the awards. Ben Cutmore (diving), Max Bowen (athletics), Max Crane (football), Louis Chadwick (football), Fleur Corlett (dance), Ed Vickers (trampolining) and Sam Daniels (cycling). Teachers Dan Beck and Helen Guilder accompanied the students to the event. 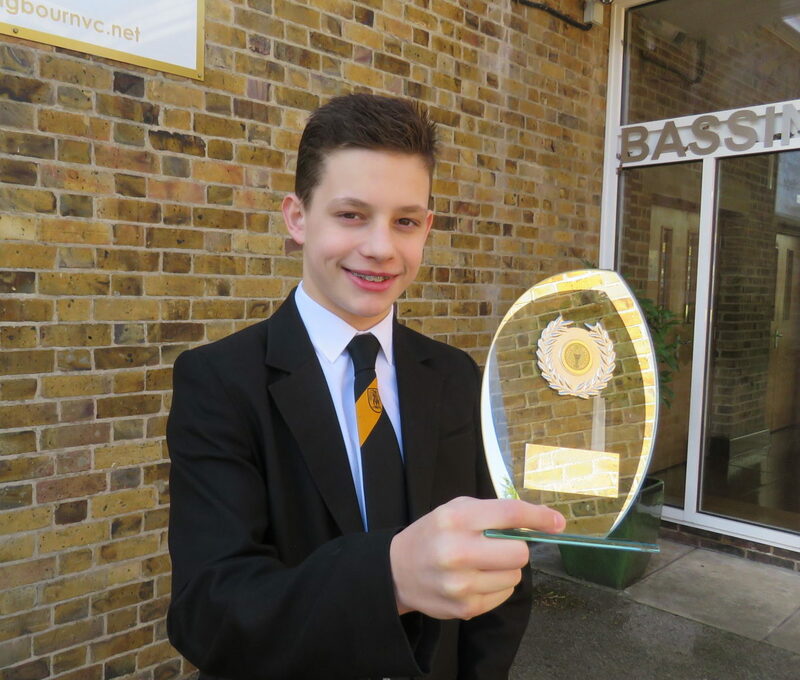 Ms Guilder, join head of PE, said: “This is another amazing achievement for Ben. We are so proud of them all. “Ben is a superb student. Despite his diving commitments, he keeps on top of his work load and school work and is an extremely level headed and conscientious student. Ben’s achievements in diving are amazing and I believe he is the biggest talent we have had at Bassingbourn. 16-year-old Ben (right) began diving at the age of 7 as part of the Learn to Dive programme and by 10 was the British National Age Group champion and the youngest member of the Junior GB squad. He became British Junior Elite Champion in 2016 and, following that, has gained scores of national and international titles. Ben now trains several times a week at the Aquatics centre in London and is part of the World Class Programme for Great Britain and aiming for Commonwealth and Olympic Games in future years.